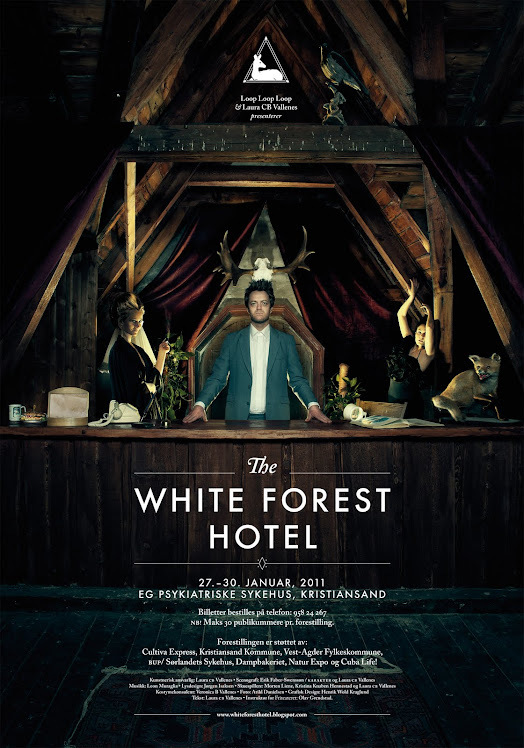 "The Whiteforest Hotel": Salmon Circus. "I was holding the white slippery salmon with my sensitive hands. It didnt say anything, it was just so grey and cold. The river was frightening and wanting. How can i leave this feeling in my hands after begging it not to swin too far? It came back. my hands."